Heralding the city’s world renowned festival season and the biggest sporting event in Canada, the all-new Four Seasons Hotel Montreal has announced that it is confirming reservations for arrivals beginning June 1, 2019. The design-led hotel is the result of a collaboration between architects Lemay and Sid Lee Architecture and interior design firms Gilles & Boissier and Atelier Zébulon Perron. The 169-key luxury Four Seasons Hotel Montreal is located downtown in the city’s Golden Mile Square, connected to Holt Renfrew Ogilvy. Just ten minutes by foot from the city’s Bell Centre, the hotel is ideally located for international visitors, regional weekenders and business travellers. In addition to MARCUS restaurant and bar, the hotel will offer an intimate spa and state-of-the-art fitness centre, a skylit indoor pool and a stunning fifth floor ballroom with outdoor terrace. 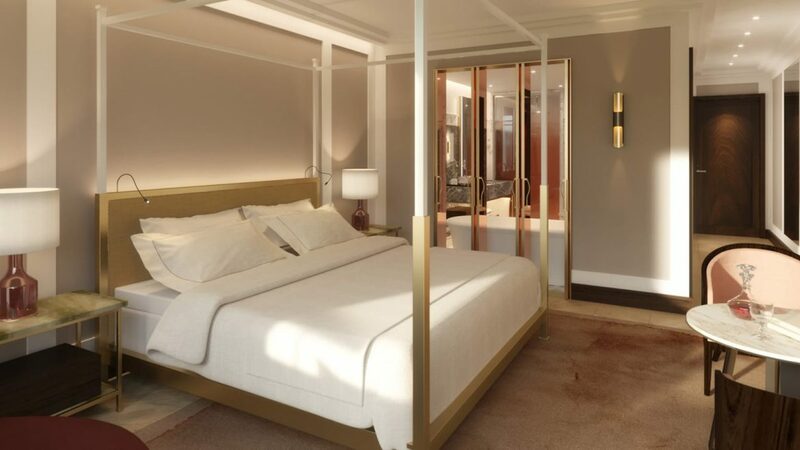 The guestrooms and suites will feature avant-garde opulence complete with chaise lounges, floor-to-ceiling windows, oversized beds and boldly designed bathrooms. The pièce de résistance is the two-bedroom presidential suite, which is positioned on the top floor. 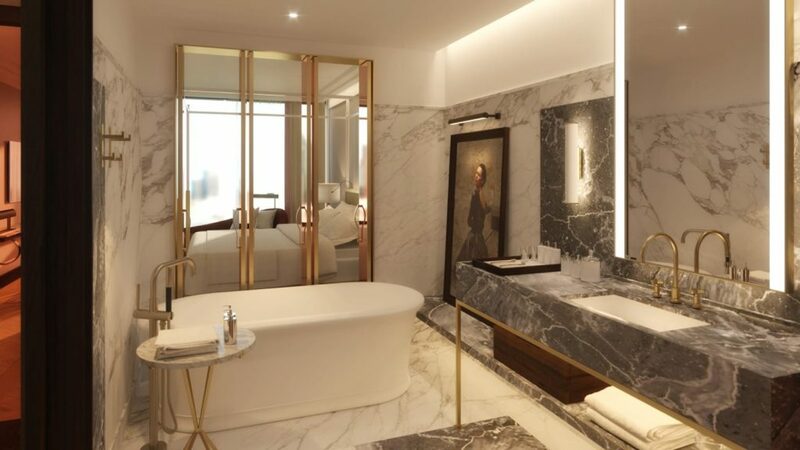 The new Four Seasons hotel is one of nine luxury statements that the hotel group plans to open this year, including hotels in Bangkok, Athens and Costa Palmas. The hotel group currently has 111 hotels and resorts in 47 countries – including recent openings in Desroches Island, Seychelles; Kuala Lumpur, Malaysia; and São Paulo, Brazil.